As part of ongoing major works one of our close partners Ashford Commercial was awarded the contract to replace all of the UPVC windows at 156 and 158 earls Court Road, London. energ.b. 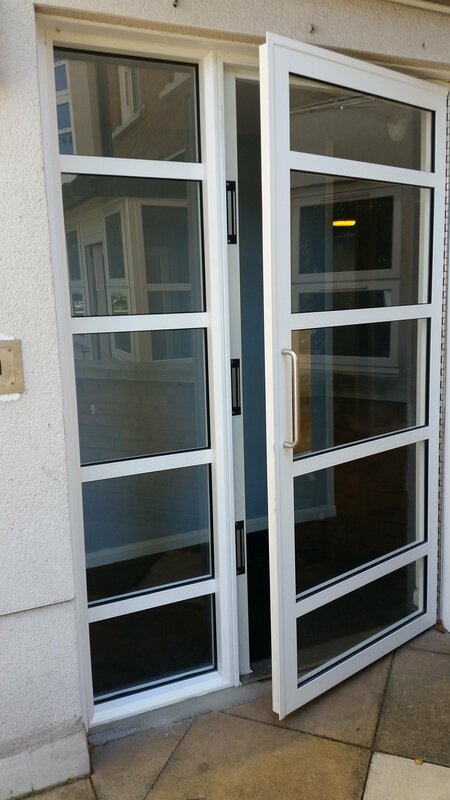 were drafted in to supply and install new steel security doors to all the external entrances to both blocks and the underground car park. As part of the planning consent the doors had to match the existing in appearance. 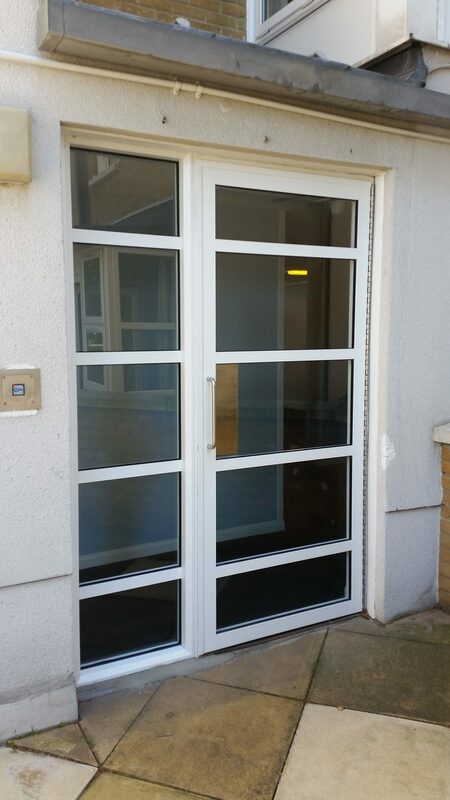 Utilising The Schuco Jansen Economy 50 range of profiles we were able to match exactly the dimensions of the external frame sections and sash bars of the existing doors. All doors were installed by our own fitters. 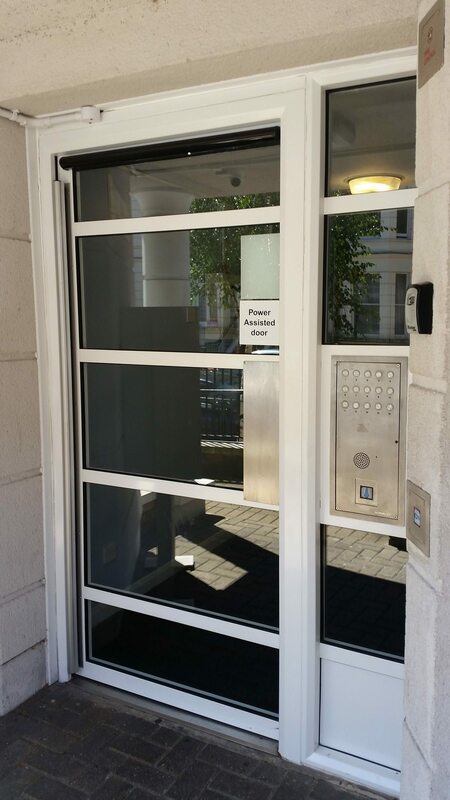 Tenant access was facilitated by installation of PAC access control readers at each door wired back to controllers within the blocks. 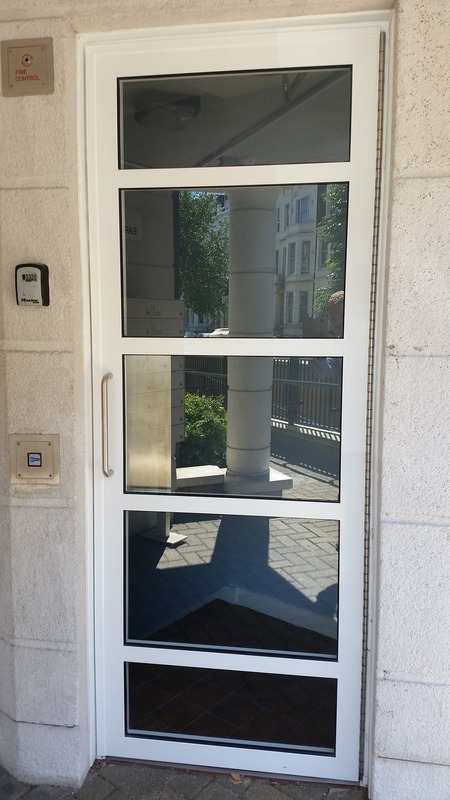 Each door was fitted with three magnetic locks for heightened security. 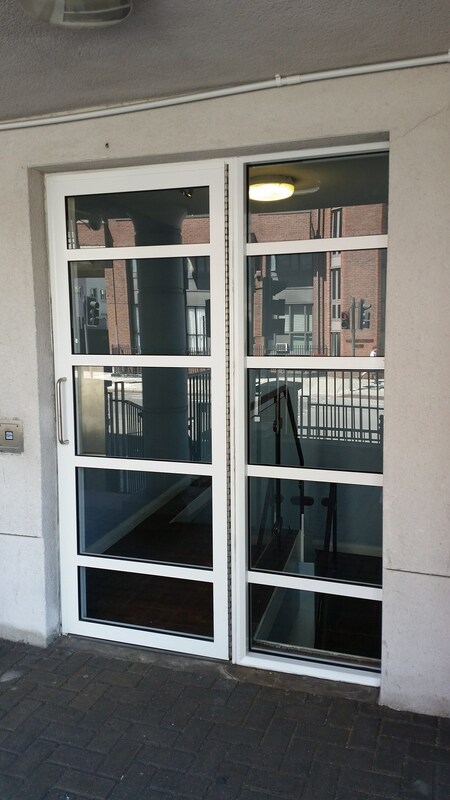 Both main entrance doors facing the street were fitted with Geze EMD-F automatic door operators.